Take a few moments and imagine your house without the excess, old and broken things that you have not used for years. Instead of the expected mourning over your favorite shirt you have not worn in ages, you feel light and relieved without the clutter. You are moving into the present moment and use the things that you currently need and which fit your needs. In order for your belongings to serve you and not vice versa, decluttering is the perfect solution. When is it time for decluttering? Take a walk throughout the rooms in your house and observe. Do you feel that there are too many things waiting to be dusted off and used? Or you have a feeling that some closets are so full of clothes and linen that they will start to fall out? Yes, it is time to start decluttering. If you are planning to move to a new location within a few months or a year, give yourself time and start decluttering now, so that you have less work when actually moving away. Decluttering all at once is not always a good idea, unless you need to move on a short notice. You may be overwhelmed with speed or become very tired because the process is not easy. 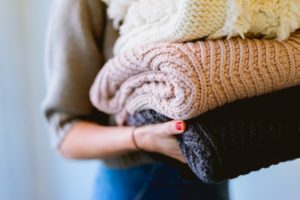 There are several options that you can choose when it comes to decluttering. The important thing is to set your own pace and stick to it, the results will most definitely come. If you are decluttering one room at a time, you will have a sense of accomplishment every time you go to that room and you will feel motivated to continue with other rooms. One trash bag a day, or 30 minutes a day are a great option if you are less mobile than you used to be. It may seem as a small portion of time and space, but these option yield great results in just a week or less. Another benefit of decluttering in a slow manner is avoiding injuries. Start with small things that you always wanted to throw out, and see how that makes you feel joyful. Go to your kitchen and then proceed to other rooms and see how many duplicate things you have. You would be surprised to know that you have two ladles, two graters, two toasters, more towels than you will ever need, four linen, etc. Just keep the ones in better condition and move forward. If you know the size and dimensions of your new home, it will give you a better sense of how many things you actually need and how many are unnecessary. Ask your family to help you if you are not mobile or feel tired after a short period of time. You will have someone to tell your stories to and you will finish the process faster. If you have a lot of photo albums, consider putting all photos in one big photo album. You can also ask a family member to save the photos on a computer. In this way, they will take up much less space and will also be easily accessible. When you come across a souvenir or something else that is very dear to you, do not throw it out. The point is to get rid of unnecessary things, but feel free to keep a couple of things that bring joy to you. You are in control, choose to surround yourself with loving memories. Invite your friends and family over (not all of them at once) and discuss with them about what would they like to take. In this way, you can distribute a lot of books or china, photo albums, plants and other personal things. Your dearest ones would like to have them, and other hand you do not have to throw them away. Again with your friends and family, you can decide to make a garage sale for your belongings. In order to make it easier for you decide what will you do with money from the sale. You can use it for something that you wanted to buy for years, but never had the time (a photo camera, for example). The other option can be to give the money to your grandchildren so that they can buy something they wanted for a long time. Bear in mind that the amount of money from the garage sale will probably be less than expected. Nevertheless, it is comforting to know that you helped someone. Make sure you have your family help you with the garage sale and with the organization. Open your closet and take out the things you have not worn in the past year. If you have clothes that are torn or have some stains, throw them away. You can donate the rest of your clothes to charity immediately. When you donate to charity for the first time, you will ask yourself why you haven`t done it ages ago. It is fulfilling and rewarding, and it will keep your mind of decluttering. Knowing that the things which do not serve you anymore are of great help to someone in need is all you need to know if you start feeling sad. Once the process is over, you will not only feel relieved and rejuvenated, but you will feel as if a burden was taken off of your shoulders. You have said goodbye to a period in your life, relived some old memories and now you are ready to move on. 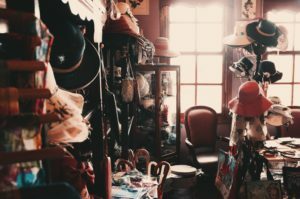 Decluttering for seniors does not have to be stressful, in a certain way it can be relaxing, even. One thing at a time and a lot of love is all that you need.